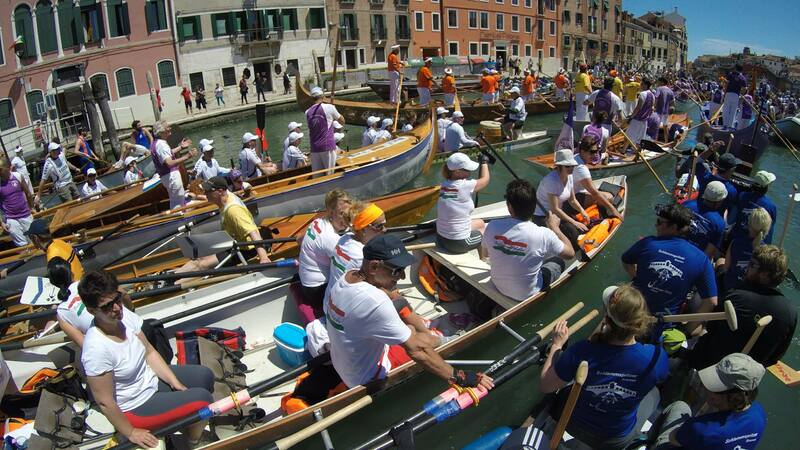 On Friday, 22.05.2015, a team of eleven Schammspritzer got on the road to Venice to participate in the 41st Vogalonga, a 30 KM rowing/paddling event happening every pentecoast in Venice with the final kilometers passing through the Canale Grande. Preparation for this event already started in February with a regular weekly training, but there was still some anticipation that everything will work out as planned. 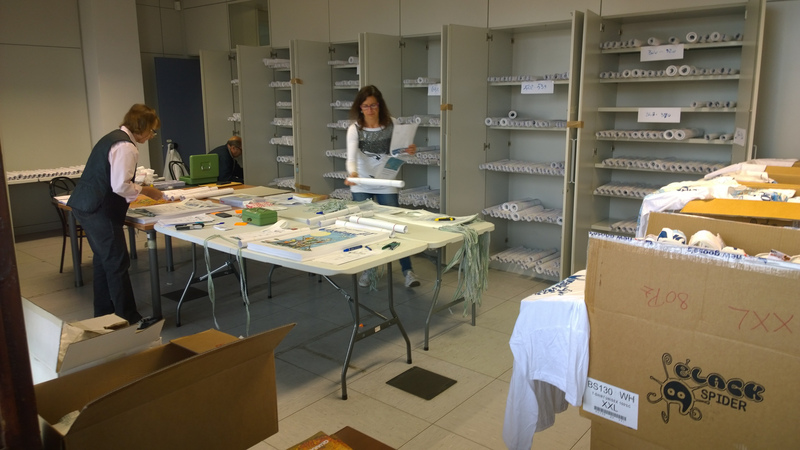 Team members were: Anna-Joy, Carmen, Claudia, Gema, Marius, Nicole, Ronald, Sabastian, Tina, Nico and Thorsten. 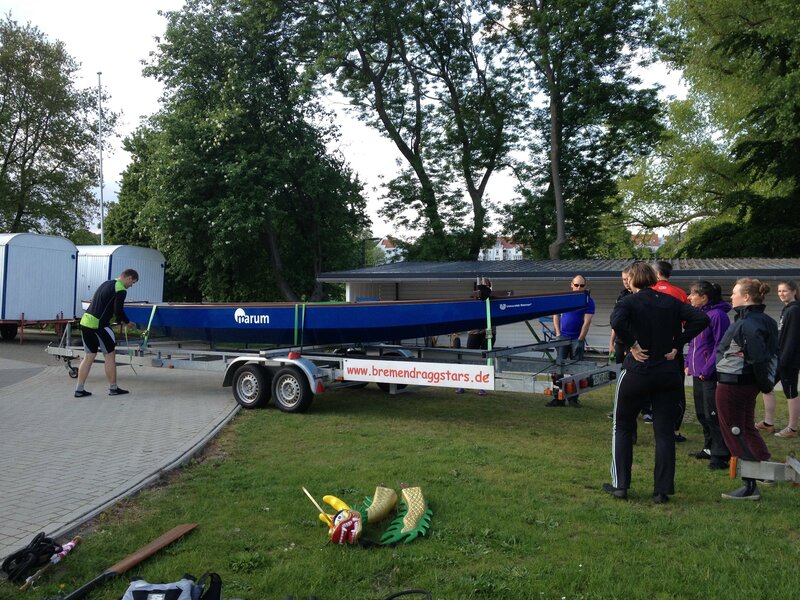 On the Thursday before departure, we met to load the Tethys, the MARUM Dragon Boat, onto the Trailer kindly provided by the Bremen Draggstars and drove it back to MARUM. 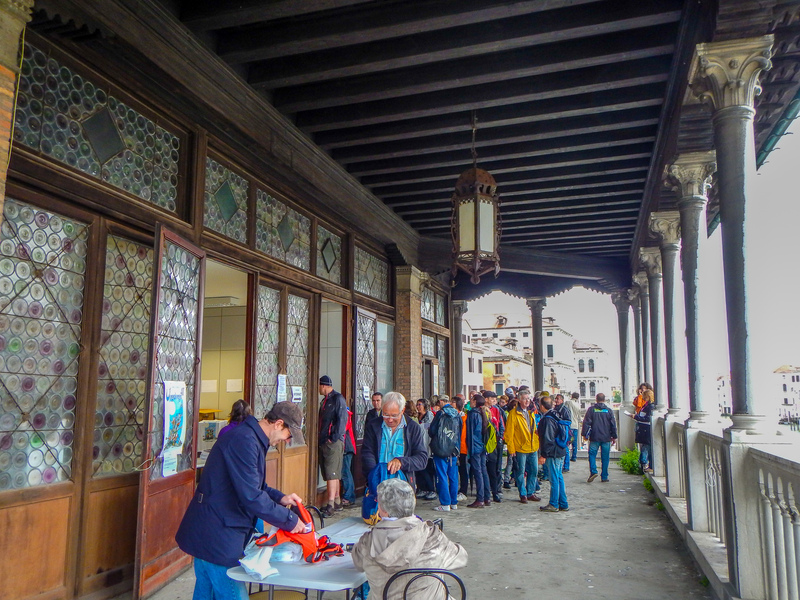 One part of the group started at 4am in the morning and made it to Venice in one day to complete the registration on Saturday, which was located directly above the famous Rialto market. 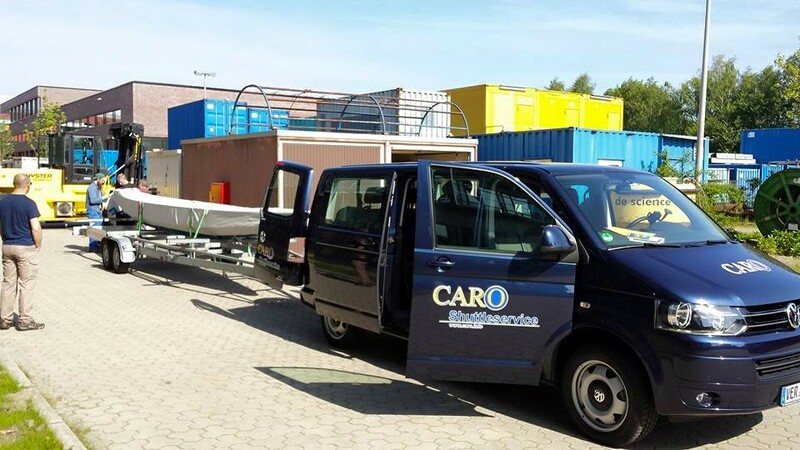 The main group left with a towing vehicle rented from CARO and did an overnight stop near Munich. 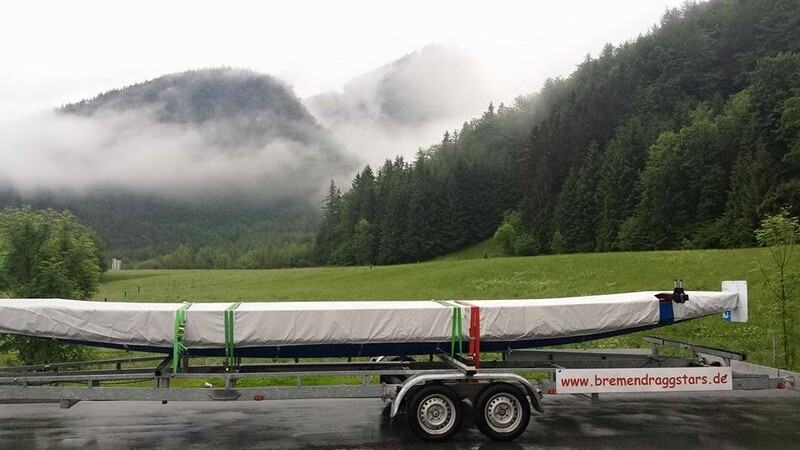 They took Tethys over the Alps and arrived around 4pm on Sunday at the campsite in Punta Sabbioni. The weather was not at it’s best because of a Genua low which brought some intense rain. 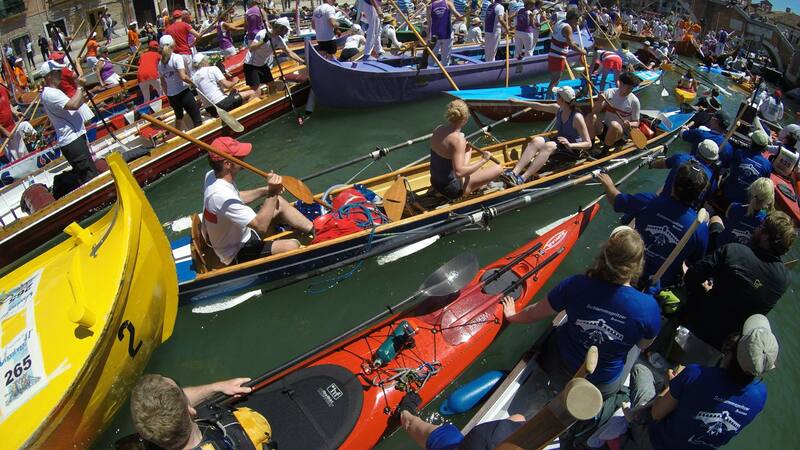 The rain finally stopped and the forecast for Sunday looked promising. 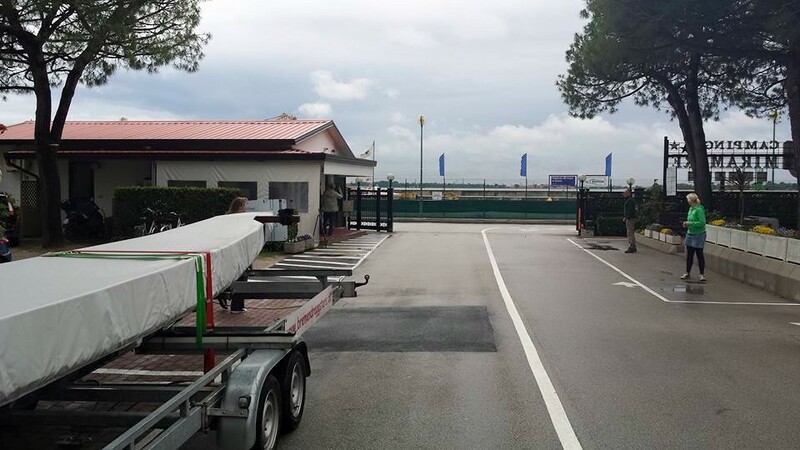 The task for the rest of the day was to prepare the camp and the boat for the race day, attend to a scheduled briefing, get some nice Italian food, and rest. The day started a 5am, departure was scheduled for 6am which almost worked 😉 . We had to drive 2.5 KM North to get the Tethys into the water. At 7:34 am we finally headed to Venice! 9.11 KMs to go as a warmup session. 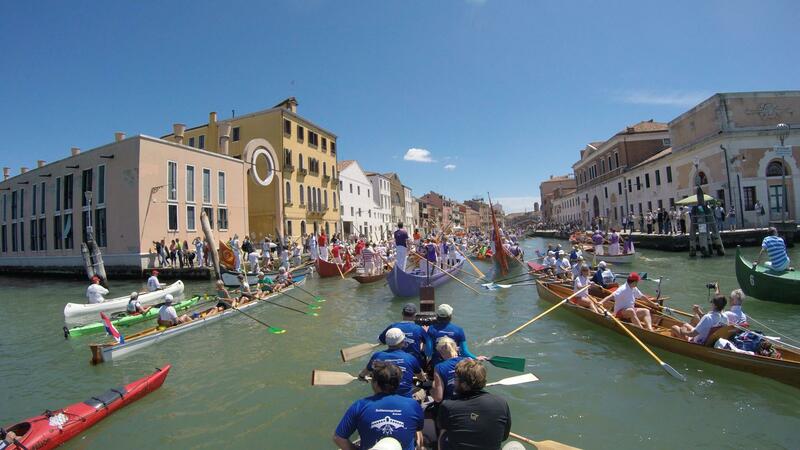 The weather improved a lot and was near perfect: light winds, sun, temperature well above 20°C. 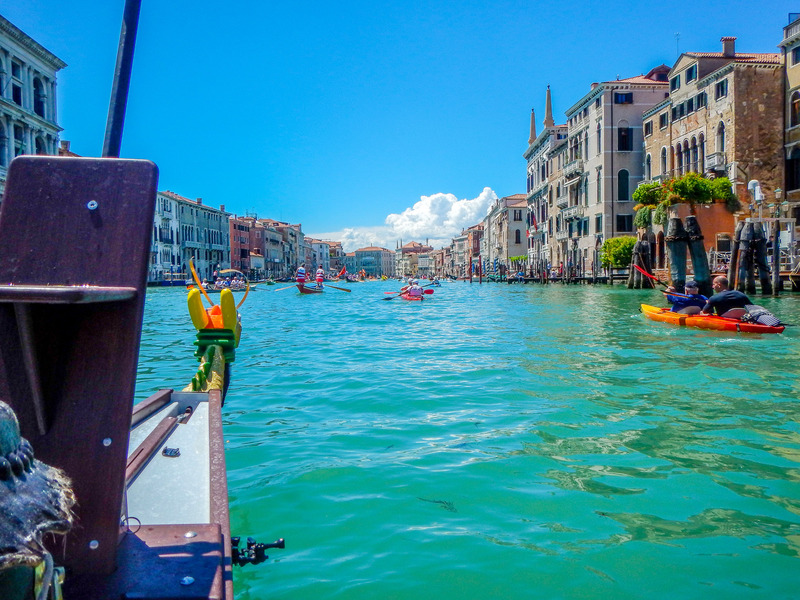 The approach to Venice was scenic and tension rose as we got closer to the piazza San Marco. Having passed the last corner, we encountered a view that can only be described as amazing! Boats everywhere! 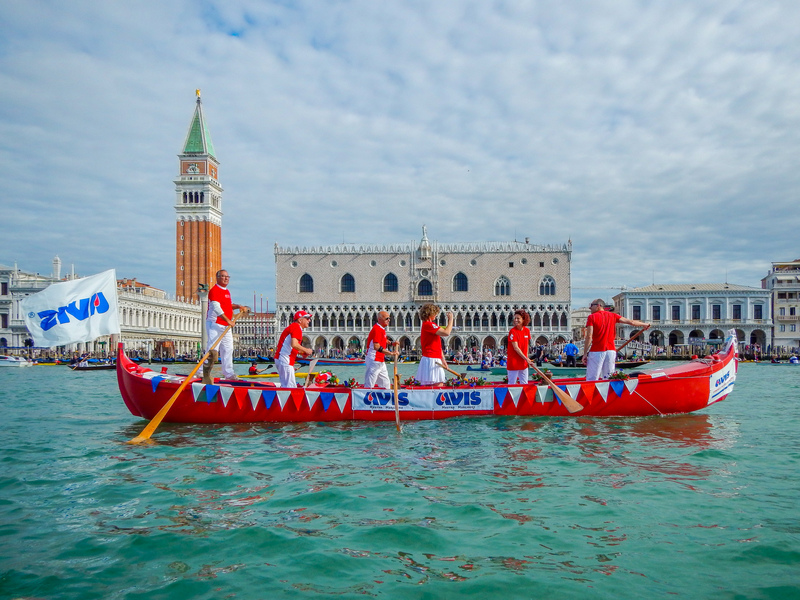 So we squeezed into the group, did a short peek into the Piazza San Marco and turned the Boat around to prepare for the start. 13 Minutes to go. At 9am a cannon was fired to signal: GO! 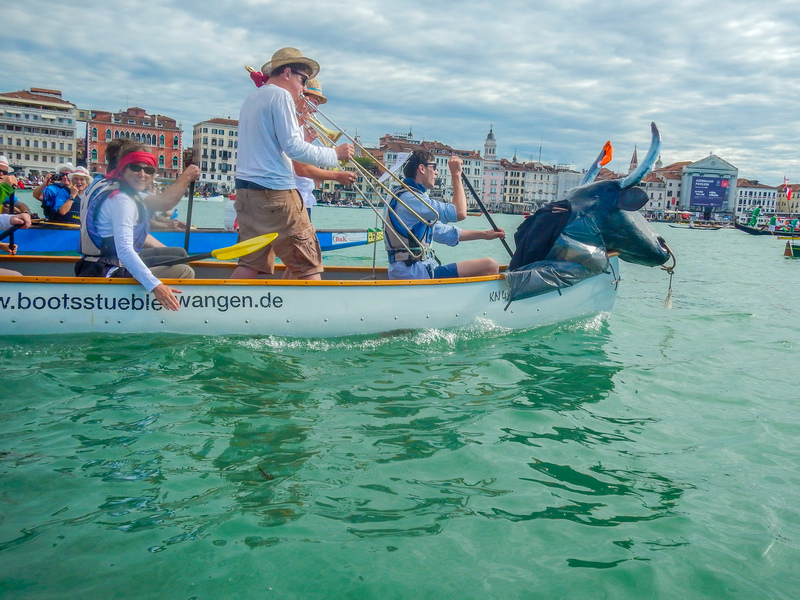 The Vogalonga is not about speed and finishing first. It’s about being part of it, enjoy the day and the show. We drove close to a boat close with a trombone duet. Amazing! For the helmsman the challenge was to adjust speed and course to avoid any collisions in the dense and narrow area, especially in the curves. And there were plenty of them. The team was quite well prepared so we had no problems to keep our pace at this point. Time passed quickly because there was so much to see. 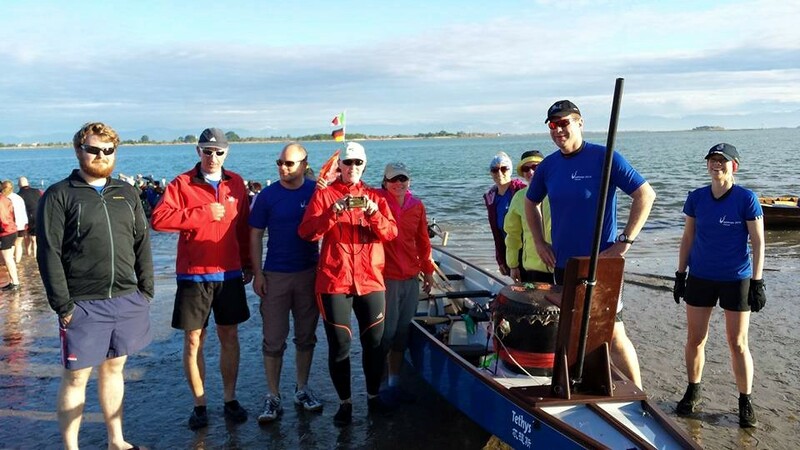 After 10KM on the track, we did our first break, switched sides and helmsman. Also time try some rations we took with us. Ready to hit the sea! 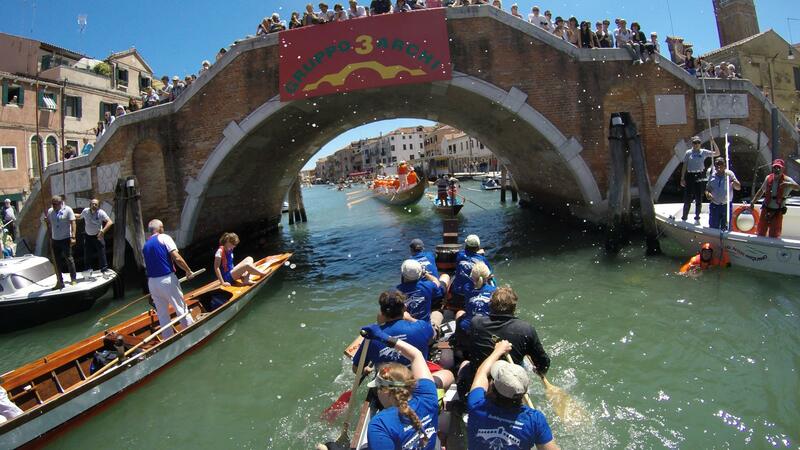 Back on track, we approached the most northerly point of our route, Burano. It just keeps going more scenic. After passing the turning point, we headed through a narrow channel (hoping not be caught speeding, there was a limit of 5 KM/h) back into the lagoon. Then there was this view: Venice on the horizon, sun, everything was picture perfect. This part was most enjoyable. Close to KM 20 on the track, we entered Murano and did a second stop to stretch our legs and switch sides if needed. 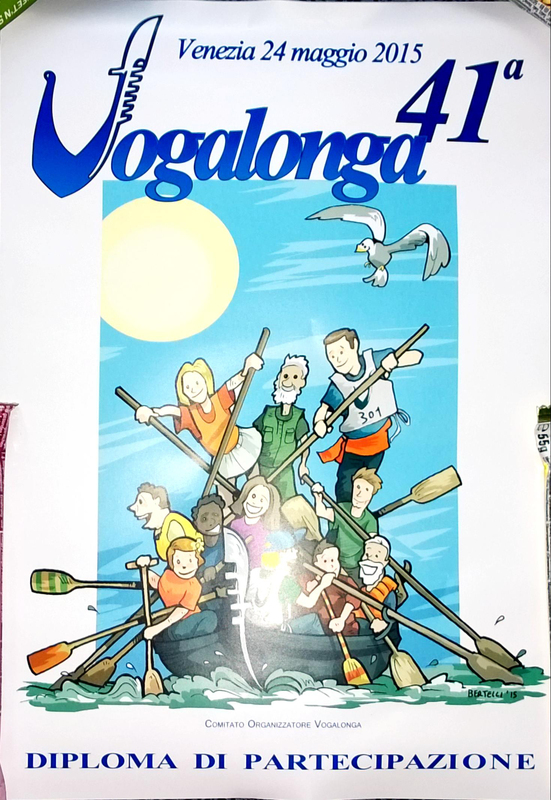 Paddling did not feel as easy as it was at the beginning. 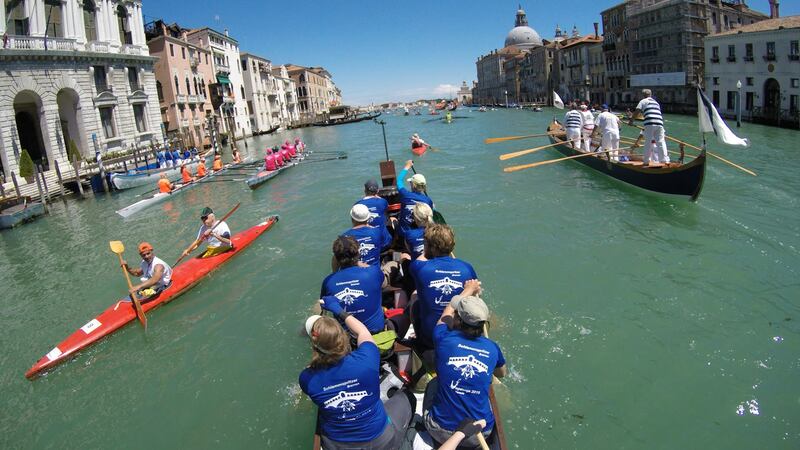 Everybody knew that the best thing, cruising through the Canale Grande was still to come. 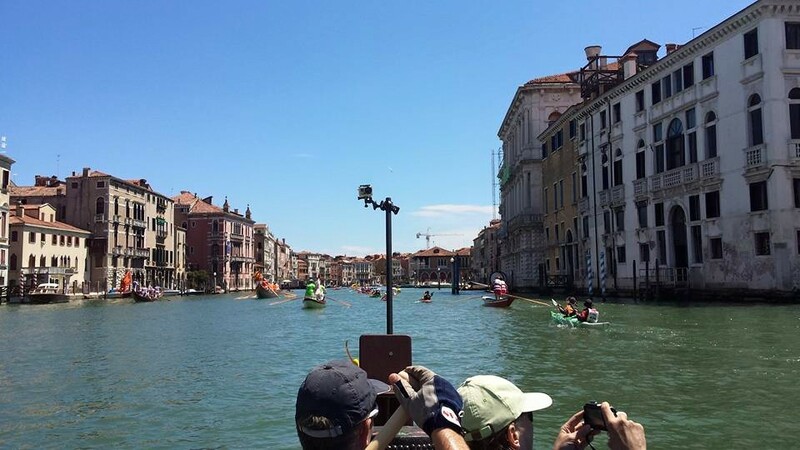 As we approached the SS11, the main road into venice, which cannot be passed from the seaside, we encountered something we did not expect: a traffic jam! 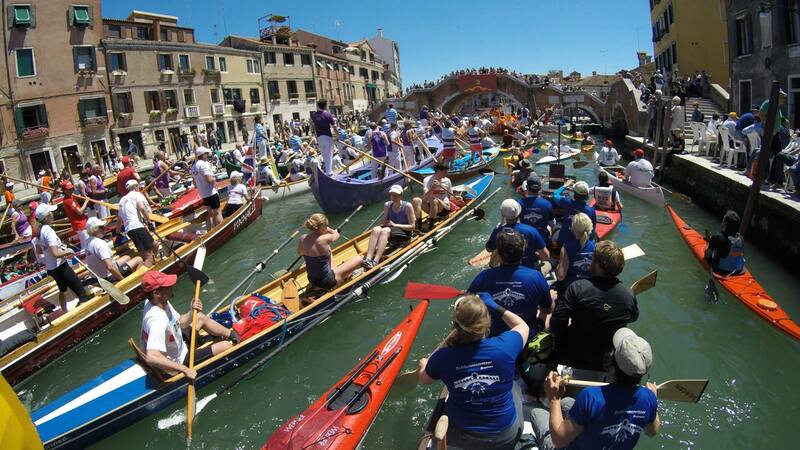 The Ponte Tre Archi is quite narrow and the sheer number of boats is just too much. After evaluating the situation there was only one solution. Queue up, Italian style. Traffic was adjusted by a policeman into the water to assist boats that got turned around in the crowd. 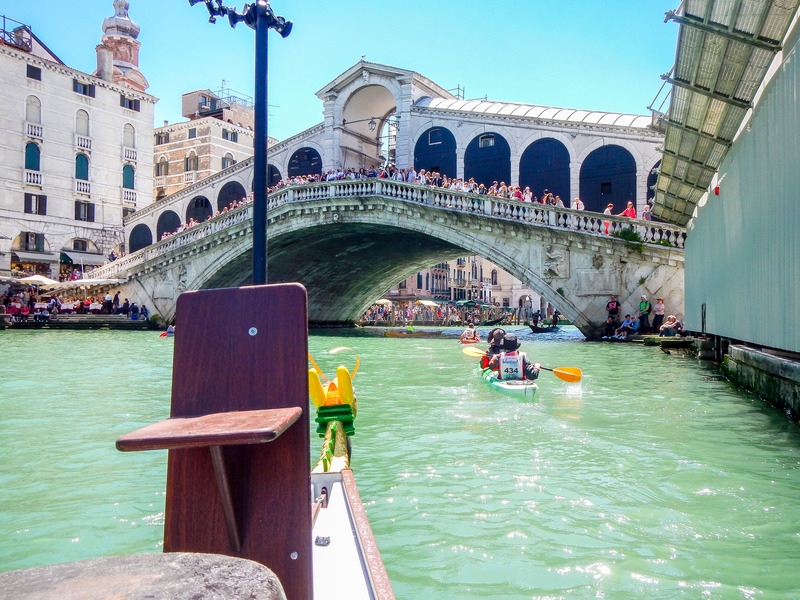 After a while which felt like an eternity we finally made it through the Ponte Tre Archi. There was not much traffic beyond that point. 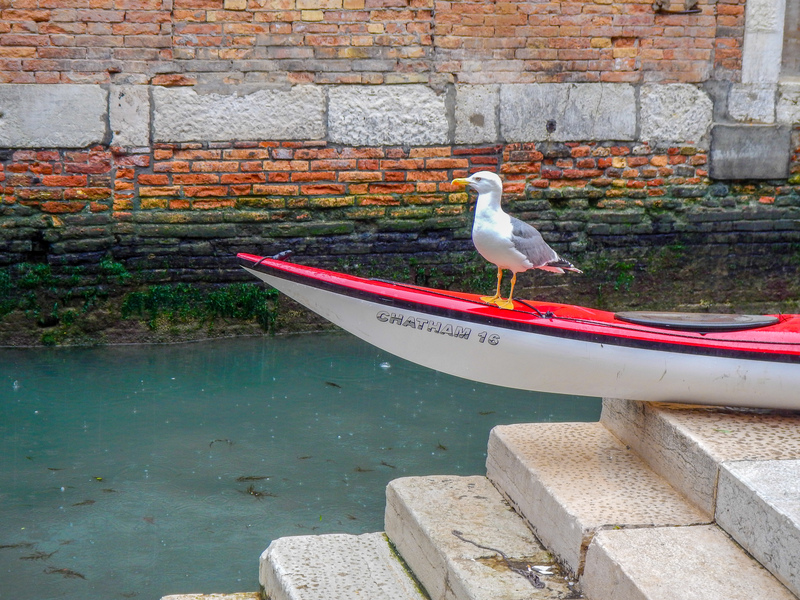 Cruising through Venice on the Canale Grande, people everywhere on the left and right side, giving us an warm welcome. An unforgettable moment which was just to be enjoyed, second by second, minute by minute. 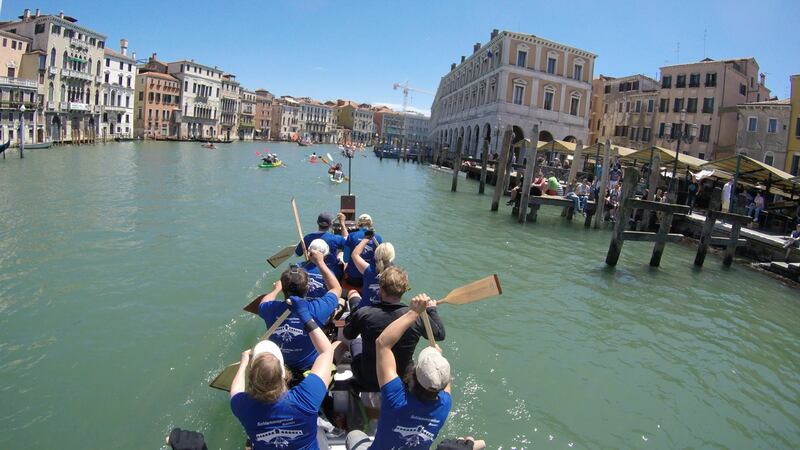 The finish is located at the end of the Canale Grande, directly in front of the Piazza San Marco. We arrived after 4h 56 minutes, collected our diploma de partecipazione with a medal, did a short stop to rest, switch positions and helmsman once more and made us on our way back, doing around 9 KM to cool down. 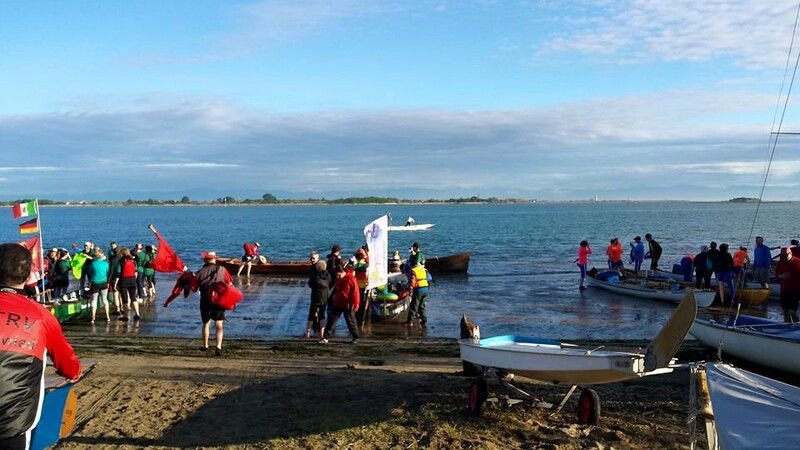 Unfortunately, wind and waves were not as pleasant as they were in the morning, so we had to engage fight mode and made our way back, having paddled 46KM in over 7 hours. What a great day. 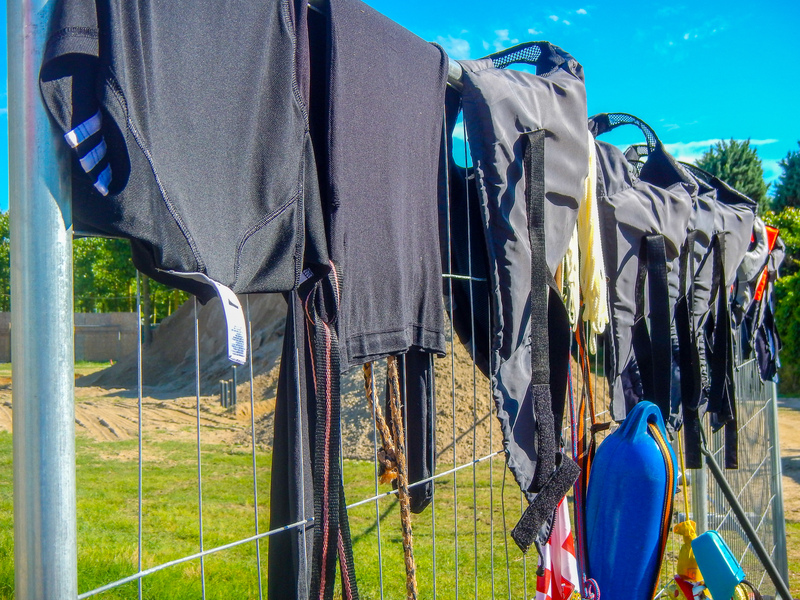 For most of us, we spent the rest of the day cleaning our equipment from salt water, celebrating, taking a shower and having a nice meal with a view to the lagoon of Venice. We stayed on more night at the campsite before we headed back to Bremen on Monday.